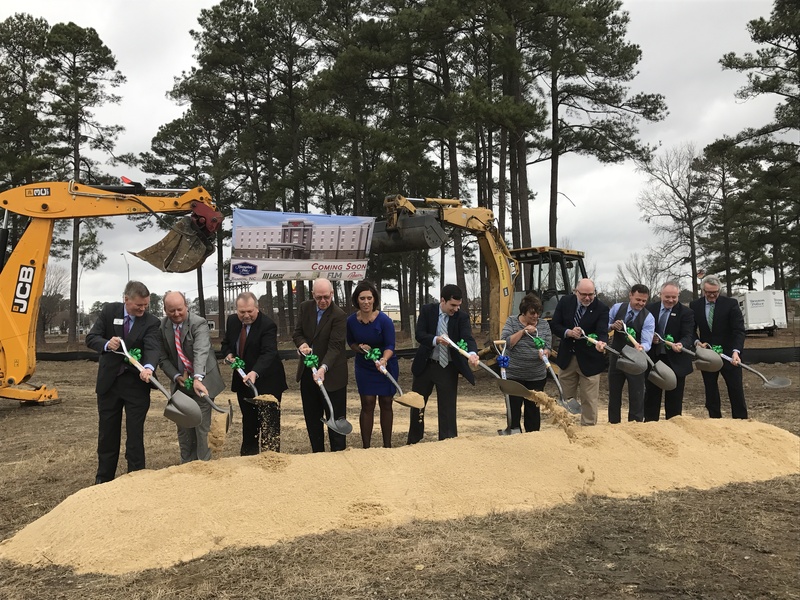 BENSON, NC (January 26th, 2017): Today, the Leath Company officially broke ground on a $9.2 M hotel project in Benson, North Carolina. A total of 72 guests attended a pre-event reception at Char Grill restaurant, immediately followed by a shovel ceremony at the hotel site on South Walton Ave.
"The Town of Benson is excited and proud to announce the arrival of Hampton Inn to our community. The demand for additional hotel room availability in Benson is extremely high," explained Mayor William W. Massengill, Jr. "The Leath Company&apos;s project has helped to kick-start developmental growth along interstate 95 at Exit 79. We are definitely a community on the ‘grow’." Slated for completion in late fall of 2017, the Hampton Inn will include 89-guest rooms and a lower level conference space. In addition to the hotel, the Leath Company will prepare two additional outparcel (pad ready) sites designated for restaurant use. For more information, please contact Town Manager Matt Zapp at 919-894-1606 or Adam Leath at 434-634-2963.